I apologize for the delay everyone. It’s been a little hectic for the past few weeks, but now that things have settled down a bit, I can return to my routine of transferring my notes and handouts. In terms of my followers, you’ve all been amazing and are very talented. I was able to glance at your blogs. I really do appreciate all of you and your work. A few updates: I put up the medical law and ethics Powerpoints for the entire course. The Powerpoints provide an outline and my handouts/notes expand on the details. For my followers along with current students at universities, you may request the password to access the Powerpoints. I will certainly be happy to provide it to you. You can go to my main Main Site or the Mathsci site (link below at the end of the handout) and send me an email via the contact page (or the mail icon on the upper right at the Mathsci site). If you are a student, you can send me an email through your .edu account. Thank you. I do have a few handouts prepared, but am in the process of retyping them on LaTeX, the documentation writing system for scientific and technical works. Since the material is getting more complex for the math and sciences, I will definitely format the notes utilizing LaTeX. Medical law and ethics is simpler to rewrite since I don’t have to use special characters or diagrams. However, those of you who have taken math and science courses know that these subjects require drawing and diagrams so they take more time. I can usually draw on the blackboard in these cases, but unfortunately I can’t do that here! They do help visualize concepts such as mathematical applications to fields such as engineering or examine the biochemistry of the process of blood clotting (which is why I don’t omit them in the notes). I will also get back to the orgo and biochemistry so please don’t worry. The material is very interesting, and I hope it can help you gain interest in the field if you decide to pursue a major or work in a STEM related field. Thanks everyone for your patience, I am deeply appreciative of it. Okay, now on to the Handout! We are now going to finish up the chapter with public law and the American court system. In the previous handout, we examined civil law which handles matters regarding private relationships such as those between individuals or between individuals and private entities. The matters handled by civil law are non-criminal. Examples of branches under public law consist of criminal law, administrative law, constitutional law, and tax law. For this handout we will cover criminal law and administrative law since they are relevant to the medical and health professions. Since criminal offenses are against society as a whole, citizens of the United States cannot bring a criminal lawsuit against another individual. Criminal laws are designed to protect the public from harmful acts perpetrated by others. It is considered a criminal act when a person or institution performs an illegal act or commits a failure to act (omission). It is the duty of healthcare professionals and institutions such as hospitals to provide the appropriate care for patients. Unless the patient or person in charge of the patient’s care terminates any consent to treatment, an omission by the healthcare professional or institution is considered a breach of contract when they fail to provide the treatment as prescribed by law. Criminal law requires that evidence is beyond a reasonable doubt meaning that the evidence shows that a person (or people) committed a crime with almost absolute certainty. Prosecutors at the state and federal levels bring about legal proceedings against the accused individual or institution. Criminal cases are legal proceedings brought upon by the federal or state governments of the United States against individuals or groups who have been accused of committing a crime. If the defendants in the case are found guilty, they will have to pay a fine, face imprisonment, or both as determined by the court. Federal criminal offenses include tax evasion, terrorism, counterfeiting, and drug trafficking. Criminal acts are separated into two categories: misdemeanors and felonies. Misdemeanors are less serious offenses that are punishable by fines or imprisonment of up to one year. Misdemeanors include disorderly conduct, petty theft, vandalism, and minor traffic violations. Felonies, on the other hand, are more severe crimes that can be punishable by death or imprisonment for more than one year. Felonies include practicing medicine without a license, murder, tax evasion, kidnapping, and treason. If a healthcare professional is convicted of a crime, the state licensing board may revoke his/her license. Criminal cases involving healthcare professionals have included inappropriate sexual conduct, violations involving controlled substances, and substance abuse by the professional. Administrative law (or regulatory law) is the branch of law that handles regulations set by government agencies. We began discussing this in our previous handout when we discussed the Food and Drug Administration (FDA) and how they regulate the sale and safety of products such as food and medical prescriptions. Congress and state legislatures authorize agencies such as the FDA to create rules and regulations under their jurisdiction. Other agencies include the Centers for Disease Control and Prevention (CDC), the National Institutes of Health (NIH), and the Centers for Medicare & Medicaid Services (CMS). For example, the Centers for Disease Control and Prevention (CDC) regulate laws which maintain public health and safety within the realms of disease control and prevention. The Centers for Medicare & Medicaid Services (CMS) handle the administration of Medicare and Medicaid (with state governments) as well as the oversight of the healthcare insurance website, Healthcare.gov, under the Patient Protection and Affordable Care Act (Obamacare). Violating regulations prescribed by federal and state agencies are usually civil law violations, but may also embody criminal violations. Healthcare professionals and institutions who violate these regulations may be subjected to a penalty such as fines or a revocation or termination of one’s professional license. The United States has a federal and state court system. These two systems have their own responsibilities where only one court may hear a specific case, but both may also have jurisdiction (the power to hear a case) where both courts can hear a case. Regarding the latter, the plaintiff can choose which court they can present their case to as long as the court has jurisdiction regarding the matter of the case. If a case does not fall under these conditions, it must be brought to state court. However, one of the above conditions can exist, but may instead be heard by the state court. Cases are heard at the lower level court first. If the lower court’s decision is challenged or appealed, the higher court will reexamine the case and its decision. The lower courts usually handle traffic violations and small claims. In an example, if a patient does not pay their medical fees, the physician can bring a patient to small claims court. Probate court (or estate court) handles matters involving a deceased patient’s estate. It is important for a physician/healthcare professional to sort out and handle any payment for services rendered to dying and deceased patients. If he or she does not, it can be considered negligence regarding a patient’s treatment or death. In the American judicial system, a trial is where the facts of the case are presented and examined so that a proper judgment can be passed by the court. In a trial, evidence is presented (such as a witness’s testimony, reports from law enforcement and investigation officials, tangible evidence such as guns or an object with the victim’s blood, etc. ), relevant facts are determined from the evidence, and then the attorneys from each side will explain the relevance of legal principles to the case. We will now go through the process in more detail. The American federal government and many of its state governments utilize a grand jury in the first step in many criminal judicial proceedings. The grand jury consists of a group of 12 to 23 private citizens who hear evidence about a case in private. The evidence is presented by a prosecutor and the members of the grand jury deliberate to determine whether it will proceed to being heard in court. The defendant, the person or group of people being sued, may or may not be present in front of the grand jury. The members of the grand jury may ask for clarification of evidence or ask the witnesses questions related to the case. The grand jury then deliberates and votes on whether to move the indictment, the written legal charge against the defendant, to the trial court. The grand jury serves as a way to filter out cases which have insufficient evidence to proceed and be heard in court. If two parties cannot resolve a dispute, they may resort to litigation where one party will take another to court in order to resolve the dispute or lawsuit. The plaintiff is the person or group of people who instigate the lawsuit. For example, if a patient was harmed during a medical procedure, he/she can take the healthcare professional or institution to court to be compensated for damages or injuries. In this case, the patient is the plaintiff and the healthcare professional or institution is the defendant. In a criminal case, the prosecutor is the official who brings a criminal lawsuit on behalf of the government. There are cases where lawsuits do not have to end up in court. In these cases, the attorneys for both parties work out an agreement to settle the matter between the two parties. This is referred to as settling out of court where a trial is not needed. If the two parties cannot settle out of court, a trial will be held. The case will be tried before a judge or a judge and a jury of the defendant’s peers. The plaintiff and defendant may waive (give up a right) to a jury trial or request to have a jury. If a jury trial is requested, a group of private citizens (around 6 to 12 people) of the United States who live in the region are chosen from a pool of potential jurors. The judge and the attorneys for both parties then ask the jurors questions to determine their impartiality to hear a case. Once the jury is chosen, the case can begin. The defendant’s attorney (defense counsel) then has a chance to cross-examine the witness. The cross-examination is used by the opposing counsel to question the credibility of the witness’s statements from the direct examination. Direct examination is the initial questioning when the witness is questioned by the side for who they are testifying for. In this case, the plaintiff performs the direct examination and afterward, the defendant’s attorney cross-examines the witness. After the plaintiff’s attorney has presented all of the witnesses and they have been cross-examined by the defense counsel, the defense counsel can present their witnesses to testify. The plaintiff’s attorney can then cross-examine the defense’s witnesses. In the United States legal system, all people are innocent until they are proven guilty. Since the plaintiff instigates the lawsuit by presenting evidence that the defendant violated the law, the burden of proof is on the plaintiff to prove that the defendant is at fault. Discovery is the legal process by which facts are discovered before a trial. The parties for each side can obtain evidence and records from the opposing side or can subpoena an individual or records. A subpoena is a court order for an individual to appear in court or for records to be brought to court. A deposition, an oral testimony that is made before a public officer of the court to be used in a lawsuit, can be taken and the person may not need to appear in court. The attorney then submits the deposition during the case. A subpoena duces tecum, a Latin phrase meaning, “under penalty, take with you,” is a court order requiring a person to appear in court and to bring relevant records, documents, and materials to a trial or deposition. A person can also submit documents and materials to the court voluntarily which won’t require a subpoena. Failing to respond to a subpoena may be penalized. It can be considered a contempt of court. The subpoena must be sent to the person who it is addressed to. A physician’s assistant or employee cannot accept the subpoena on the physician’s behalf without the physician’s knowledge. If a physician does have knowledge, they can have their assistant accept it on their behalf, but it is not encouraged to do this. A summary judgment is a judge’s ruling to end a lawsuit without a trial based on a matter of law presented in pleadings. The plaintiff or defendant’s side can request a summary judgment in lieu of a civil lawsuit. If the evidence supporting one side is very clear from the beginning, a trial is not necessary. This can bring quick closure to a case solely based on the pleadings (formal written statements) and a win for one side. The attorneys for both the plaintiff and the defendant present their closing arguments where they summarize the evidence and the summaries of their cases. If a trial is conducted in front of a judge without a jury, the judge makes the decision based on the evidence and the law. If a trial does have a jury, the judge will explain the areas of law that are relevant to the case before they can deliberate. After the judge explains, the jury is excused so that they can deliberate, reexamine the evidence, and settle on a verdict. For civil cases, if the judge or jury finds in favor of the plaintiff, the defendant will usually be ordered to pay the plaintiff a monetary award. For criminal cases, if the defendant is found guilty, the judge will sentence the defendant to pay a fine and/or serve a prison sentence. The defendant can appeal a guilty verdict where a court of appeals will examine that the original trial and verdict were correct and just. After the judge rereads/reviews the original case’s transcripts, he or she can affirm the original decision, reverse it, or make changes to it. If a defendant wins a civil case or is found not guilty in a criminal case, the case ends. If the verdict is “not guilty,” it doesn’t necessarily mean that the defendant did not perform a crime or wrongful action (such as a medical malpractice case). It just means the plaintiff did not present enough evidence to prove their case to the court. Depending on the severity of the crime, different levels of proof are required. In a civil trial, the preponderance of evidence is the standard of proof required to be met by the plaintiff in order to win a trial. Evidence with greater weight can help push in favor of one side over the other. (One strong testimony by a witness with strong knowledge of the circumstances has stronger weight versus 20 witnesses who are unclear; Another example is a physician having an agreed written contract for payment for a procedure versus an agreement for services that is not explicitly written out). As we had discussed previously for criminal trials, the facts of the case must establish the guilt of the defendant when proven “beyond a reasonable doubt” by the court that the defendant committed the crime. Many professionals in the healthcare field act as expert witnesses in cases (usually healthcare related). An expert witness is an expert (such as a medical practitioner) who through education, training, or experience, has specialized knowledge about a subject and provides testimony about the subject in court. Expert witnesses are usually paid a fee and clarify points in the case related to their body of knowledge. Expert witnesses do not testify about the actual facts of the case, only clarify the points which may be unclear to those present in court. For example, if a proper medical procedure needs to be clarified in a medical malpractice case, the expert witness can explain the current proper standards to perform the medical procedure so that the court can take it into consideration beside the fact of what the defendant in the case performed. If you are called upon as a witness, always maintain professional standards and behavior. In this case, always provide truthful testimony, remain calm, and do not answer questions that you don’t comprehend. It’s perfectly fine to ask the attorney to clarify or repeat the question or state that you don’t understand. This is especially important during cross examinations when the opposing counsel may ask difficult questions. Now that we’ve finished covering a brief overview of the United States legal system, we will go into more detail in the next handout on the applications of the legal system to the medical and health professions. For example, we will cover the licensure requirements to practice in the medical/health fields and issues such as confidentiality and standard of care. 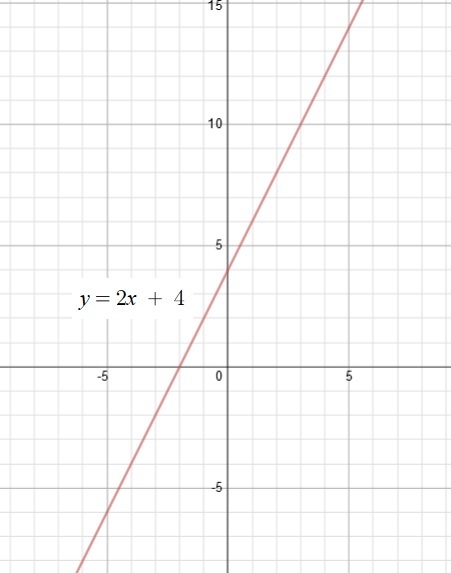 The point of intersection of the graphs of two equations satisfies both equations. In order to find the point (or points) of intersection, simultaneously solve the equations. You can then check your results when you graph them simultaneously. Step 1: Solve the equations for y. Our two equations are in general form. The standard form of the equation is Ax + By = C. We will cover this in more detail later in this handout. Now we can equate the y-values. Step 2: Equate the y-values and solve for x. Now that we have the value for x, we substitute it into either equation. Step 3: Substitute the value of x in either equation and solve for y. When we solve for y, y = 3. The point of intersection is (8, 3). 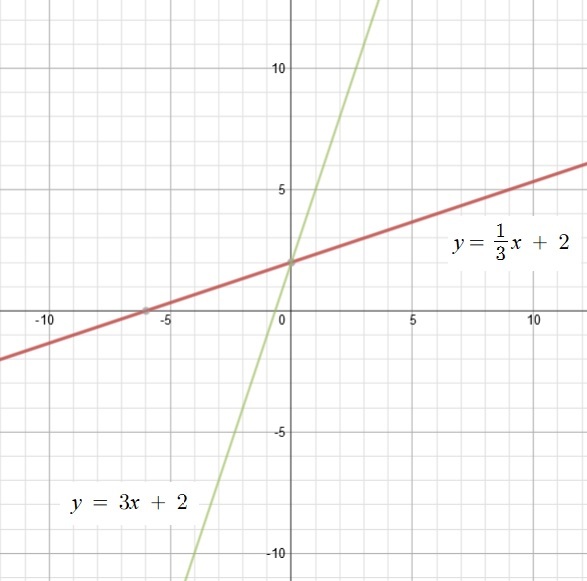 You can verify by graphing both equations simultaneously with a graphing utility. We can also find a point of intersection with nonlinear equations. Let’s take a look through the next example. We follow the same steps above. We write the equation in general form. I added 2x and subtracted 10 to both sides of the equation. The right side cancels out and equals 0. We can factor this and solve for x.
Let’s look at the easier one first. When we substitute x = 1 for either equation, y = 8. The point of intersection is (1, 8). When we substitute x = -5/3 for either equation, y = 40/3 . The point of intersection is (-5/3, 40/3). So we have two points of intersection: (-5/3, 40/3) and (1, 8). 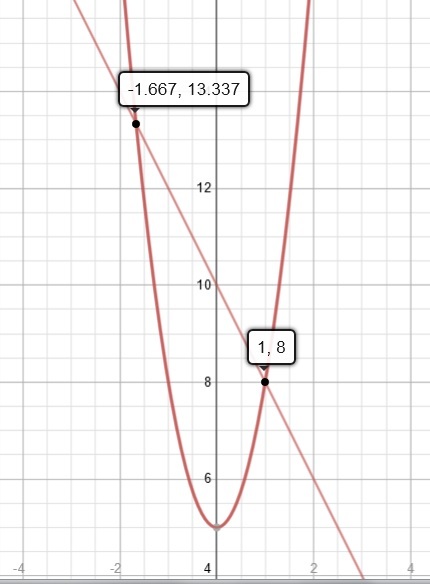 Again, you can verify by graphing both equations simultaneously on a graphing utility. For vertical lines, the slope is undefined. The equation of a vertical line is x = a, where a is a real number. For example, the equation of the line x = 1 is a vertical line whose slope m is undefined. For a horizontal line, the slope is zero (0). The equation of a horizontal line is y = b, where b is a real number. For a positive slope m, the line rises from left to right. For a negative slope -m, the line falls from left to right. As the absolute value of the slope of a line increases, the line becomes steeper. As the absolute value of the slope |m| or |-m| increases, the lines becomes steeper. 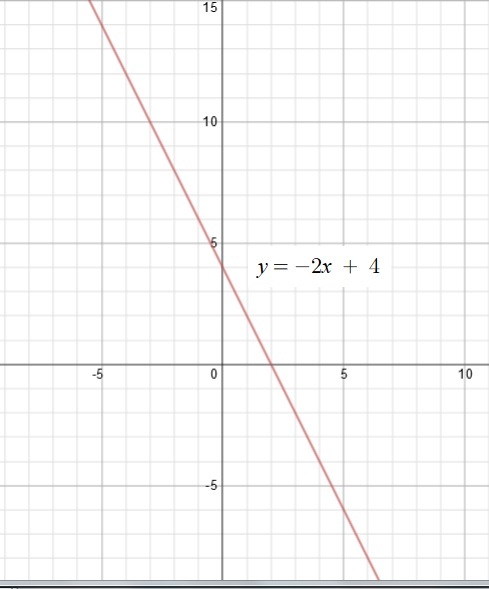 We can see that the line for the second linear equation, y = 3x + 2 (green color) whose slope m = 3 is steeper than the first linear equation, y = 1/3x + 2 (red color) whose slope m = 1/3 . When given the coordinates of one point (x1, y1) and the slope of a line m, you can write the equation of a line. 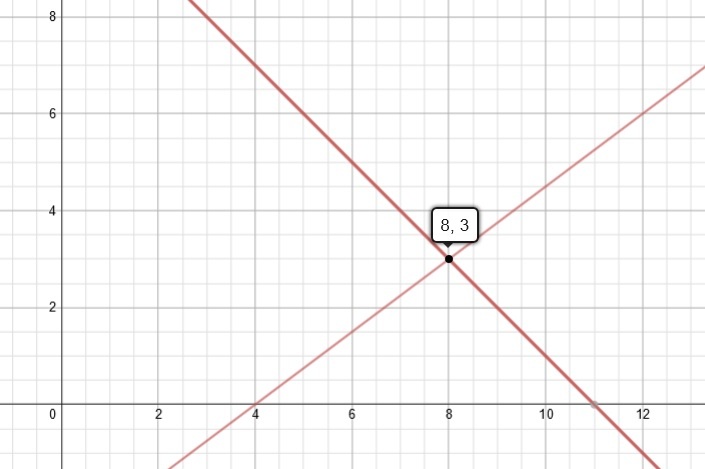 where (x1, y1) is a coordinate of a point that the line passes through and m is the slope of the line. Please note that since vertical lines do not have a slope, they can’t be written in point-slope form. 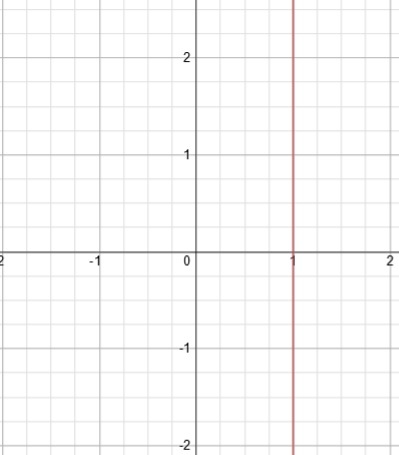 If a vertical line passes through the coordinate point (2, 4), the equation will be x = 2 (from x = a). Find the equation of the line passing through the given point (1, 5) with the slope m = 2. Thus, we can use point-slope form to find the equation. Then we get our result. The equation of the line that passes through the point (1, 5) and has a slope of 2 is y = 2x + 3. 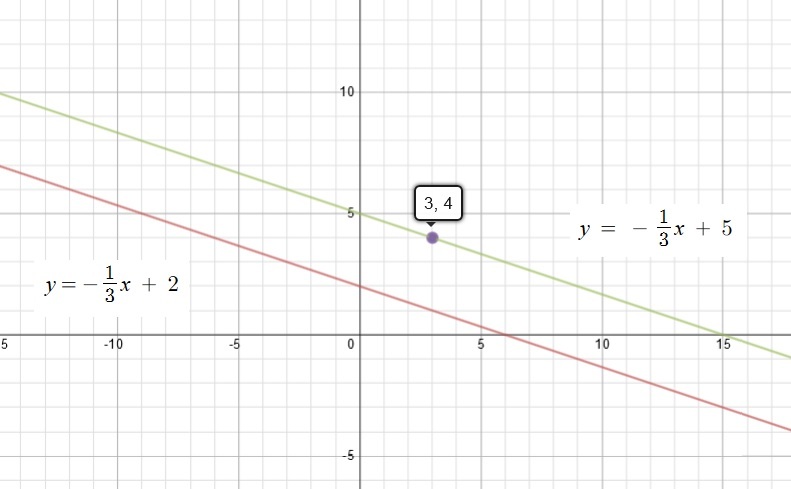 From our last example in 1.2c, the final equation of the line that was written (y = 2x + 3) was in slope-intercept form. where m is the slope and b is the y-intercept. If you remember from our previous handout, to get the y-intercept, we substitute 0 for x and solve for y.
b is the y-intercept at the point (0, b) where (0, b) is the point where the graph of the equation crosses the y-axis. With the linear equation written in slope-intercept form, we can sketch a graph of it. Given the following information, find the equation of the line and write it in slope-intercept form. Now we will put everything we’ve learned into practice. Step 1: Find the slope m.
We get our result. The equation of the line that passes through the points (4, 0) and (0, 8) with a slope of 2 is y = -2x + 8. So far we have covered examples of linear equations that have slopes. However, we saw that vertical lines have an undefined slope. Since the slope is undefined we can’t use point-slope form or slope-intercept form to write the equation of a vertical line. We can however write the equation of any line in standard form. A and B do not both equal 0 (A ≠ 0 and B ≠ 0). Write the equation of a line that passes through the point (1, 5) with a slope of 3/2 in standard form. Step 1: Use point-slope form to solve for y. 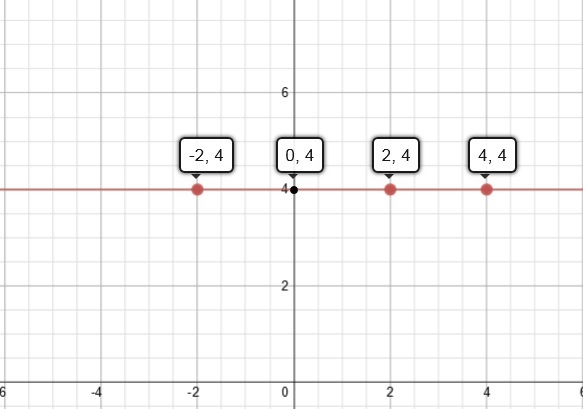 Step 2: Bring the variables together to form Ax + By = C.
In our example, I subtracted the 3/2x from both sides. Since some people like to standardize to keep A positive, you can multiply everything by -1 if your A is negative. Step 3: Multiply the equation with the greatest common factor to get integer coefficients. The greatest common factor is the largest whole number that divides evenly for each number. We multiply the numerator of the fractions with the largest number that gives us integer coefficients. If we multiply everything by 2 instead, Ax will remain as a fraction. A = 6/4 = 3/2. But if we multiply by 4, we get whole numbers. Back to our example. In our example, it is 2. If we multiply everything by 2, we get whole numbers for the coefficients. The standard form of the equation is 3x – 2y = -7. The standard form of a linear equation will come in handy when we cover parallel and perpendicular lines. Now that we have a solid foundation of forms of linear equations, we can apply them to find parallel and perpendicular lines. 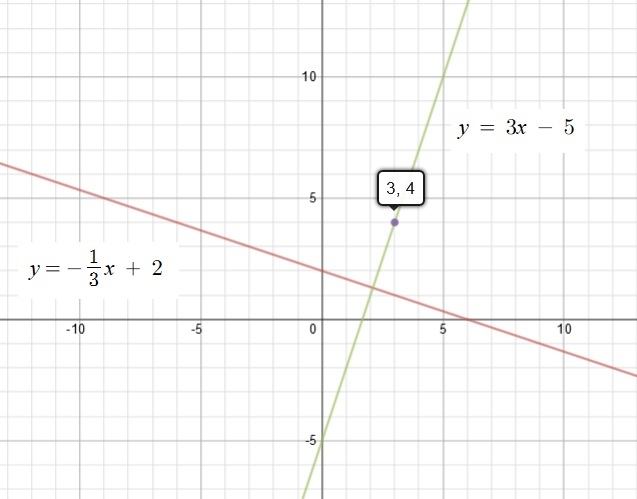 Find the equation of the line that passes through the point (3, 4) and is parallel to the line 2x + 6y = 12. Step 1: Write the given equation in slope-intercept form. Step 2: Use point-slope form to find the equation of the parallel line. Since the slope for our given equation is – 1/3, (m = – 1/3) and we know that the slopes are equal for parallel lines, we use point-slope form to write its equation. When we graph the equations, we see that they are parallel to each other and the line passes through the point (3, 4). Let’s use the example from 1.2g and instead find the line that is perpendicular to the given equation. Find the equation of the line that passes through the point (3, 4) and is perpendicular to the line 2x + 6y = 12. Step 1: Write the equation in slope intercept form. Again, we do the same thing as we did when we were trying to find the equation of the parallel line. Since m1 = – 1/3 , the slope of the perpendicular line is -( 1/(- 1/3)) which will give us – (-3). The perpendicular slope is 3. Step 2: Use point-slope form to find the equation of the perpendicular line. When we graph the equations, we see that they are perpendicular to each other and the line passes through the point (3, 4).